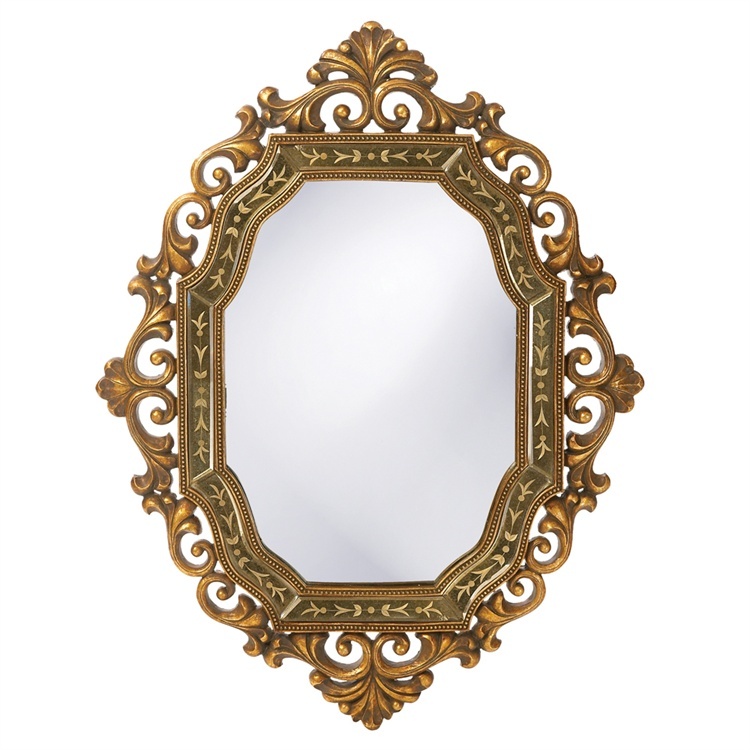 The Aberdeen Mirror features an oval shape. The glass of the mirror is bordered in an antique smoked mirror inset that is etched with a leaf design. That is then edged in an ornate frame of antique gold open scrolls. The Aberdeen Mirror is a perfect focal point for any design. Hang in either a horizontal or vertical orientation! The glass on the piece is not beveled. Customizable for larger orders.